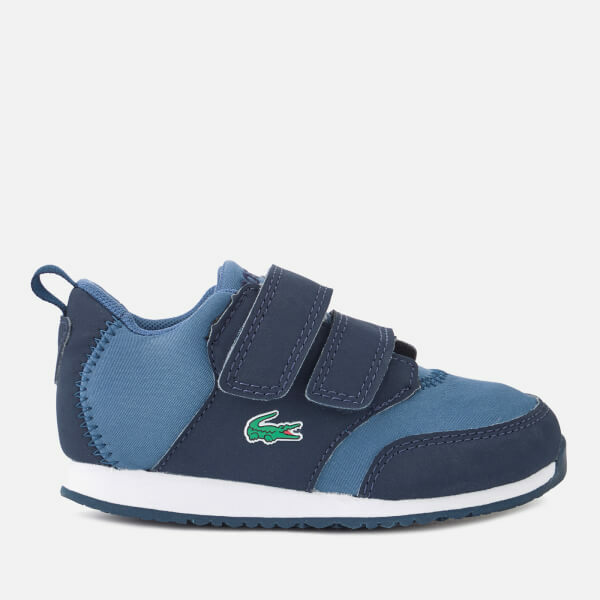 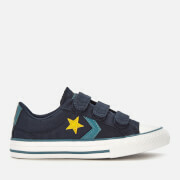 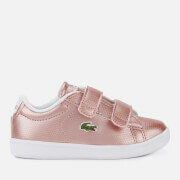 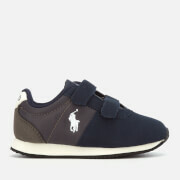 Toddlers' navy low top trainers from Lacoste. 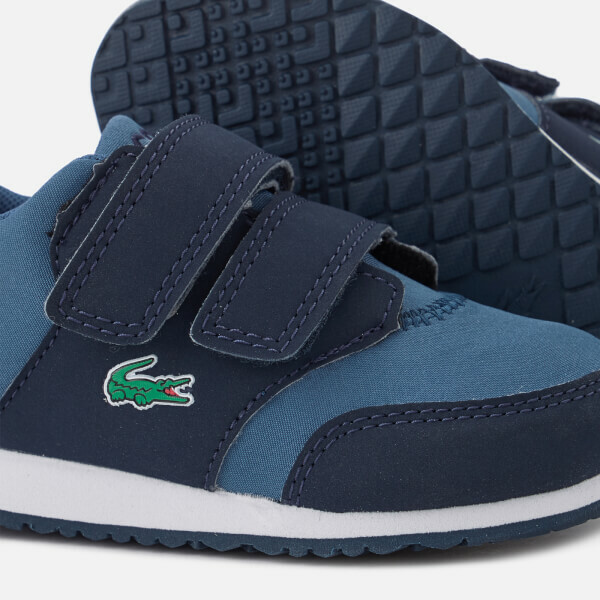 Crafted with leather-look and mesh uppers, the 'Light 318' sneakers feature a rounded toe, twin Velcro strap fastening and a signature crocodile motif to the outer vamp. 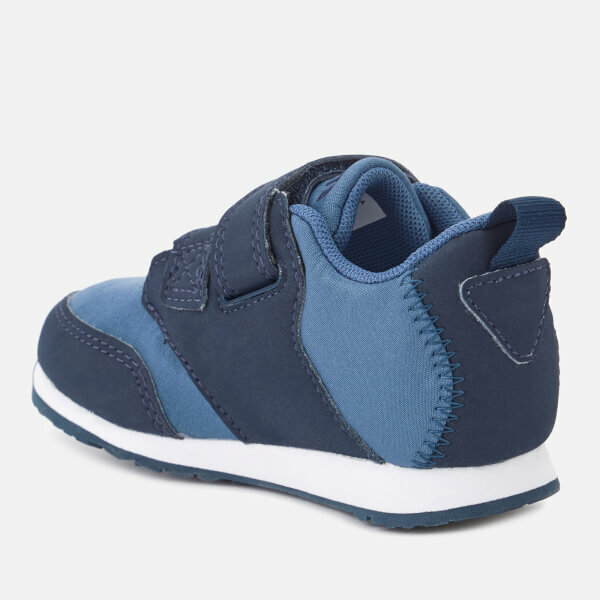 The trainers sit on a cushioned midsole and a textured outsole for added grip. 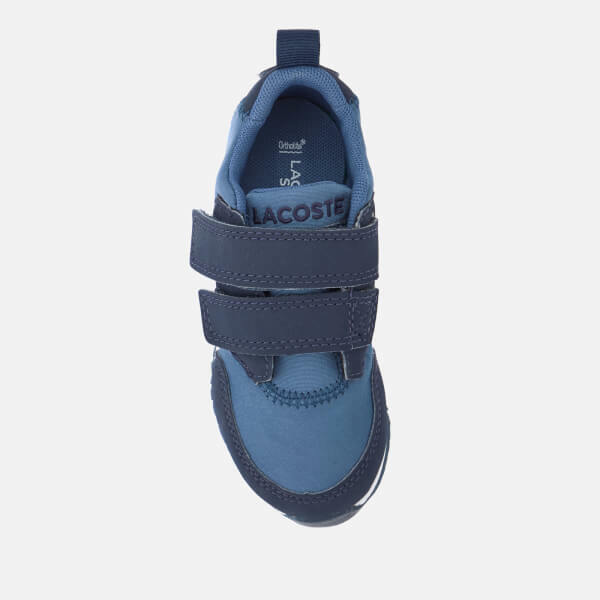 Complete with padded Ortholite insoles for enhanced comfort and breathability, heel pull loops to easily pull them on and off and embroidered branding on the tongue.